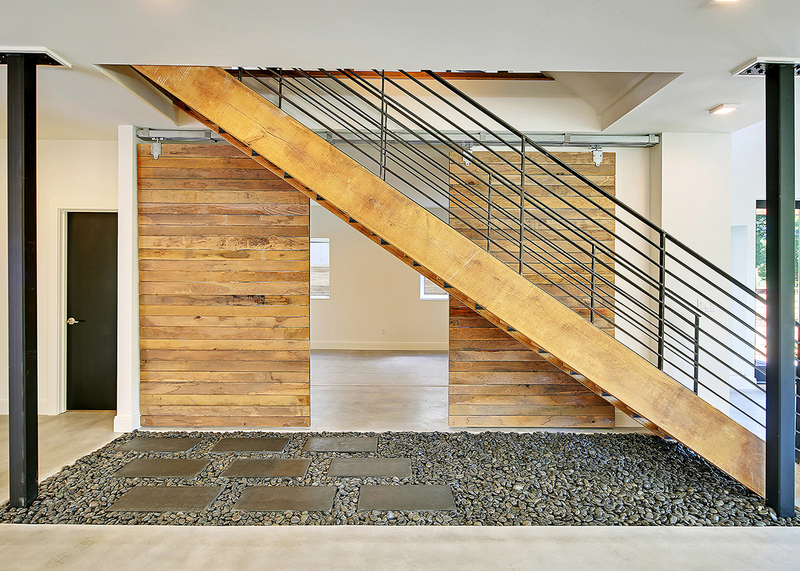 Here at Built Green, as one might expect, we believe in sustainability. But if you look closer, you’ll discover other values too: inclusion, market focus, excellence by example. We work for those values every day, but we wouldn’t be nearly as successful if our program wasn’t enriched by members working for those same goals. Today, we look at how Dwell Development is leading the way toward more sustainable housing. You might have heard of Dwell Development because the company has a stellar reputation for building homes exclusively to the Built Green 5-Star level—or even higher. 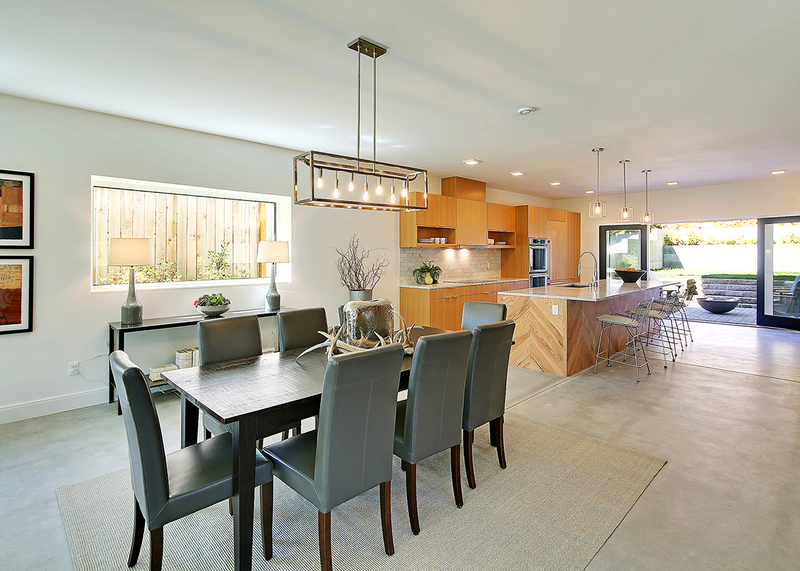 A Dwell project received the first Built Green® Net Zero Energy label and Dwell built Seattle’s first (and very successful) Built Green Emerald Star home. What’s more, Dwell principal Anthony Maschmedt has built well over 100 certified Built Green homes since joining the program a decade ago. In short, we aren’t talking about feats that many small builders can boast. Dwell builds this way because its guiding principle is to create a better tomorrow. And that starts with individual residents. 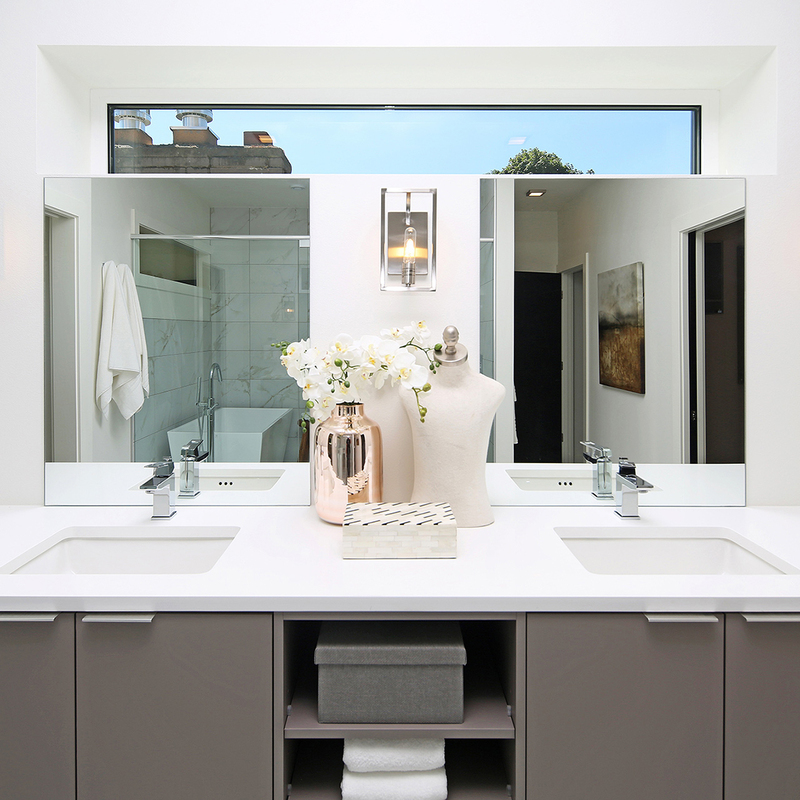 Dwell believes that homes should be long-lasting, livable, and healthy. Anthony knows that the best way to do that is to build green. 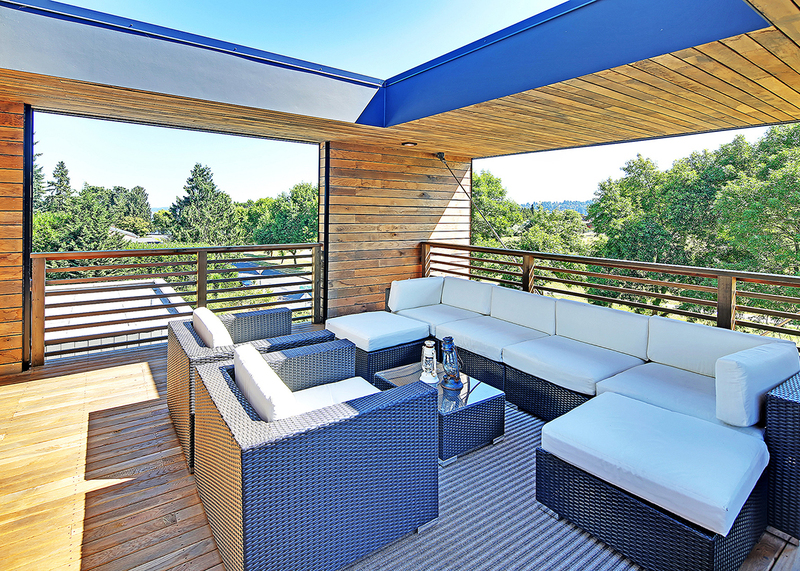 His 5-Star homes set owners up for a lifetime of comfortable, sustainable living. And that’s not true just because of my reductive spatial equation. Builders like Anthony also like infill development because it is cost efficient. The density of building in existing urban spaces doesn’t just curtail sprawl, it increases efficiency by slashing the need for expansive, human-centric infrastructure systems. It’s obvious why builders are happy when electric grids and storm drains are already in place on the build site. That’s one less cost, plus it’s more efficient in terms of land-use, distribution, and urban resource management. New residents benefit, too, because amenities and services are already established. Anthony is particularly fond of building near light rail, which provides access to even more amenities and encourages a car-independent lifestyle. Infill development is not, however, without controversy. In the news now is Seattle’s Accessory Dwelling Units (ADUs) Environmental Impact Statement, the final version of which was recently released after delays due to legal challenges. Building an ADU makes better use of land and infrastructure by providing more residences on the same single-family lot. 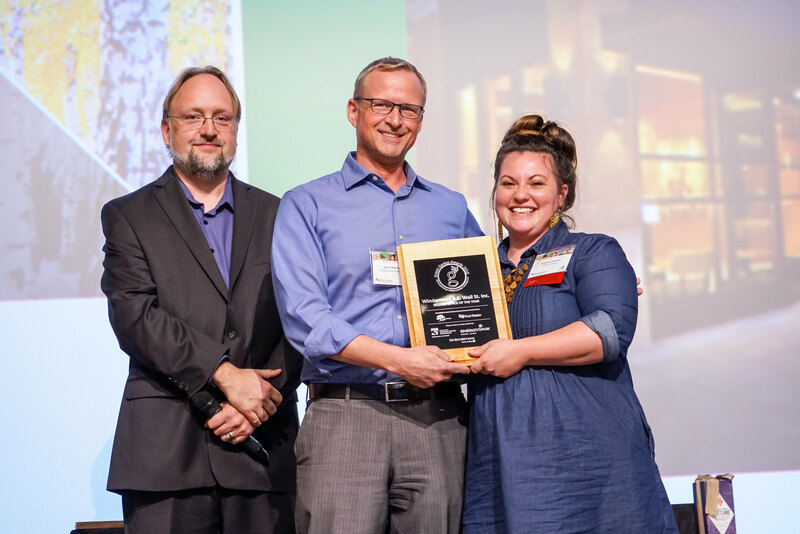 Built Green awards points for new projects that include attached or detached accessory dwelling units, a credit that Dwell has taken advantage of in the past. Infill development doesn’t have to mean destroying existing homes or overwriting neighborhood character. In fact, Dwell preserves existing homes whenever it can, even restoring them while erecting new structures nearby. And when that isn’t possible, Dwell reclaims original materials, reusing them for that recognizable ‘salvaged’ look in its new builds. Nevertheless, Anthony is conscious of the change his new construction brings to neighborhoods and practices making allies, not enemies. He says, “We choose to focus on the positive of it.” That is, the existing home is preserved and there’s a new home for someone else. You may have noticed an influx of people to the Puget Sound area, all of whom need homes. Anthony puts it in his blunt, characteristic way, “We’re not a little city anymore. We’re a big city. And we’ve got to start acting like it.” If we are going to be a big city, we don’t just need to house the booming population and ensure those living in Seattle aren’t priced out, we also need to plan for a sustainable future. How? Green homes and density are part of the answer. At the same time, that population boom strains existing infrastructure, so that even with favorable zoning, the cost of infrastructure improvements curbs housing density all on its own. This frustrates builders who want to make the same sustainable choices Dwell does but can’t due to rising costs and slim margins. Which is why it’s important to have companies like Dwell out there—and advocates like Anthony—who are on the ground, leading by example, talking to councilmembers, and advocating for greener homes and incentives that will spur more of them. Built Green and MBAKS are partners in that effort. Because just as we all win when green homes are built, we all lose when they are not. Considering Dwell’s choice to build all green all the time, you’d be right in thinking they’ve developed some expertise. As Anthony modestly says, “We’ve become pretty efficient at it.” And that’s exactly what we need. We need builders who build green and build dense. Builders who raise the bar and show others that building green is possible and even cost-effective. Without them, we’d be stuck in a cycle of sprawl and inefficiency that we cannot afford. PROFILE: Who’s Who in Green Real Estate? 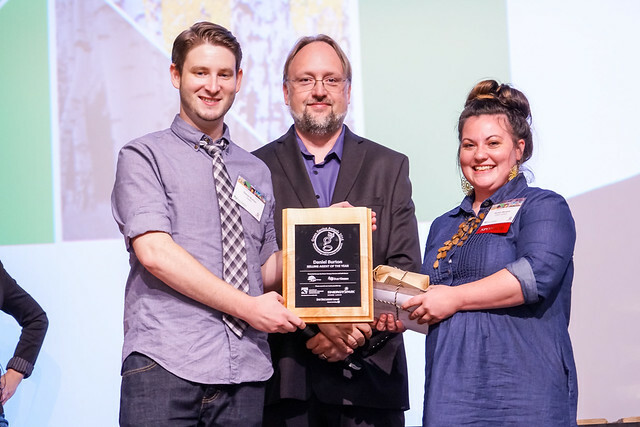 The Green Genius Awards are the region’s first and only awards to honor real estate brokers who are helping to transform the Pacific Northwest into a hub for greener living and a leader in sustainable community development. 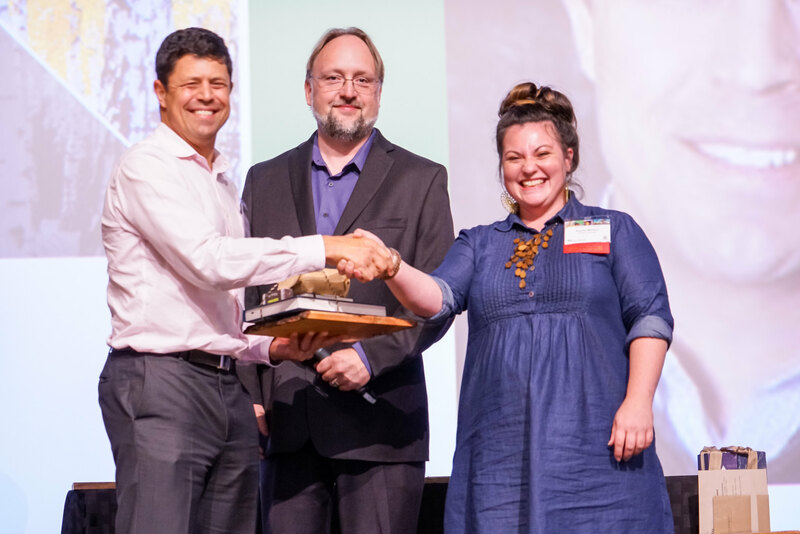 The winners of the Green Genius Awards were announced at the Built Green Conference and Awards Ceremony on September 13th. This year’s conference was attended by a veritable mix of green home builders, real estate professionals, policy makers, architects, and green home technology and materials experts. 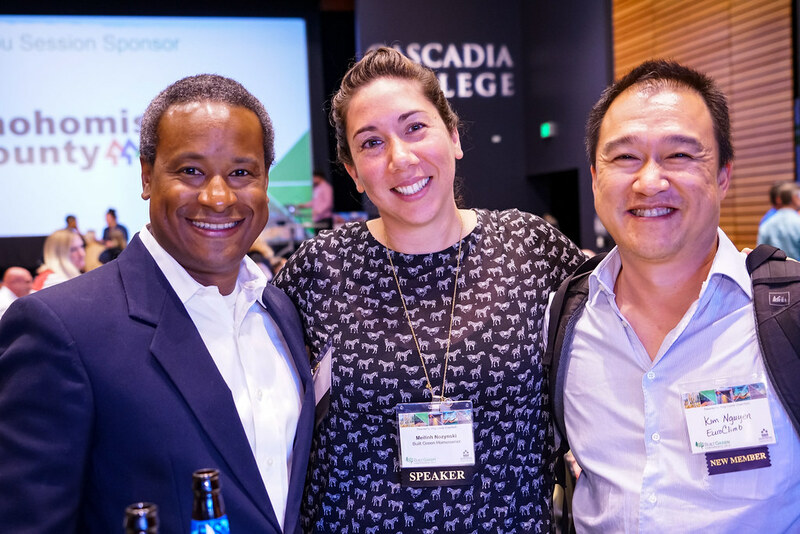 The Conference took place at Cascadia College in Bothell and kicked off with an inspirational keynote from famed natural capitalism expert, Hunter Lovins. Conversations spanned technology, community, and the growth of the real estate market. Green Genius Winners were selected based on objective data from the Northwest Multiple Listing Service as well as qualitative criteria for their marketing and sales efforts – all of which was vetted by the Green Genius Awards Committee which included staff from Built Green, Washington State Housing Finance Commission, and Green Canopy Homes. “Real estate agents translate the value of green building to the market. As such, these professionals are ‘agents of change and transformation’ for a society that is in desperate need of a massive market shift to have a green future…or frankly, any future at all,” says Krystal Meiners, the Director of Marketing for Green Canopy Homes, which created the Green Genius Awards in partnership with Built Green in 2012. Daniel Burton, a Puget Sound native, is an advocate for quality housing livability, sustainable development, and public transit. He has successfully lobbied at the city and state level to implement urban planning improvement projects across Seattle. He cites the beauty of Seattle’s natural environment and its Native American history as contributors to the success of the green building movement in the Pacific Northwest. Daniel represented buyers of certified Built Green homes ranging in price from the mid-$400k price range to over $1M. For Fiore Pignataro, real estate is about people as much as about houses. With a Master’s in education and a diverse teaching background, he enjoys the process of turning complicated tasks into easy-to-digest processes. Fiore sees the next frontier of green building including increased systems for self-sufficiency, such as solar panels and geothermal energy. Fiore’s listings in 2015-2016 included 4- and 5-Star certified Built Green projects in Seattle on Beacon Hill, Central, and Wedgwood. Windermere RE Wall Street dominates the Seattle city core in certified Built Green transactions with multiple office locations in Queen Anne, Magnolia, West Seattle, and its namesake office in Belltown. 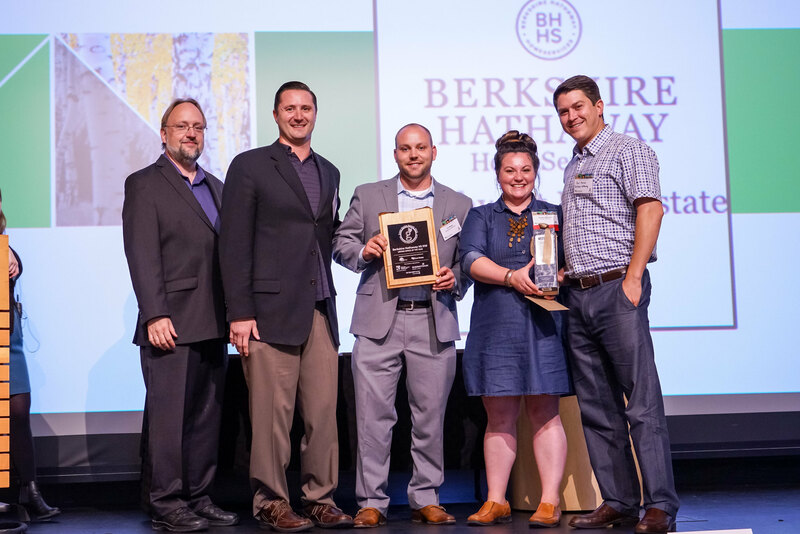 John Wellman, designated broker and general manager, received the award on behalf of Windermere RE Wall Street’s brokers who sold certified Built Green homes. Leah Pham, broker from the Queen Anne office, attended the conference with her homebuyer client Melinh Jones Nozynski. Mei spoke on a panel during the conference with other homeowners exploring the benefits and positive impacts of living in a green home. Windermere RE Wall Street sold over $8M in certified 4- and 5-Star Built Green homes in 2015-2016. Berkshire Hathaway HSNW, which recently expanded in to the Seattle/Puget Sound region in 2015, is led by president and CEO Jason Waugh. 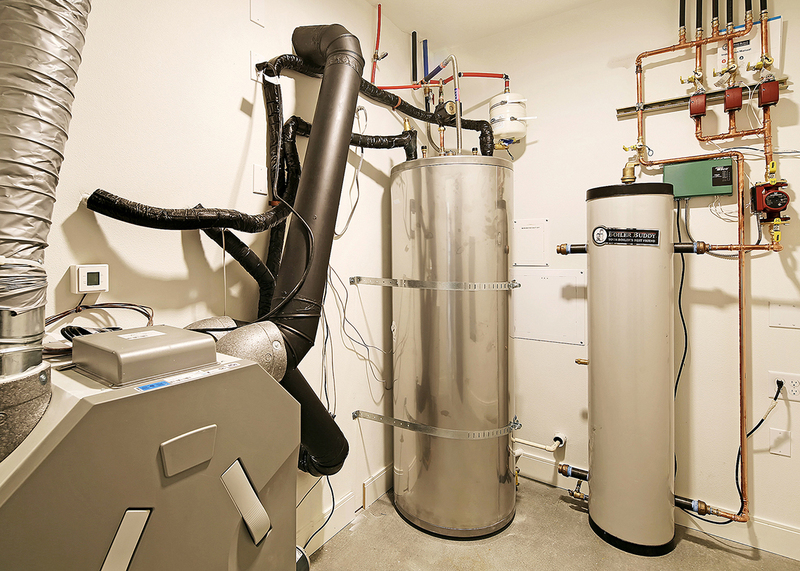 As the green building movement has become more mainstream in innovative cities such as Portland and Seattle, Jason cites that the market shift cannot be “unlearned” because the benefits of green home’s comfort, health, and lower operating costs are now so evident. Berkshire Hathaway certified Built Green listings in King County represent approximately $16M in transactions and involved a diverse group of agents. Top agents including Paul Poirier, Tim Bower, and Mark Leingang who received the award on behalf of Berkshire Hathaway. The Master Builders Association of King and Snohomish Counties (MBAKS) is excited to announce that Rob Harrison has been hired as the Built Green Senior Program Manager. Rob comes to the position with 28 years of experience as a green architect in Seattle. His years of architectural practice, including navigating zoning and building codes, has made him an expert on grasping technical opportunities that make permitting and building deep green housing easier and less expensive. He has spent the last decade as an advocate for walkable urbanism and climate-friendly civic policies. Rob has been a leader in the green building community for many years, starting with co-founding the Northwest EcoBuilding Guild in 1992. In 2009 he was one of the first 100 Certified Passive House Consultants in the United States. Built Green is the holistic green home certification program of the Master Builders Association of King and Snohomish Counties. In addition to certifying green homes, remodels, apartments, and communities, we host a membership network of companies and individuals involved in the green building industry as well as research and communicate the human and environmental benefits of green building.